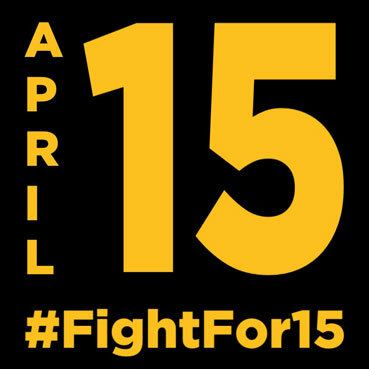 BIG NEWS: Fast food workers are striking in HUNDREDS of cities on April 15. They will be joined by more than 60,000 people across the country and in 35 countries around the world. And workers from a TON of new industries will we standing with them – from home care and child care workers, to adjunct professors, to Walmart employees. Sign up now to stand with us at these historic rallies on April 15: April15.org.